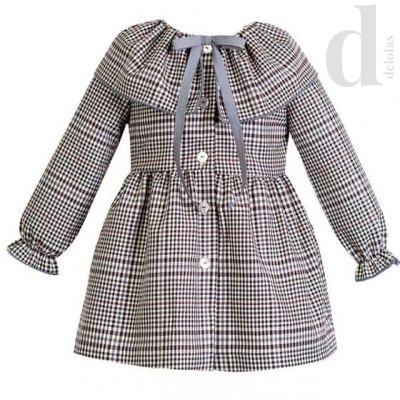 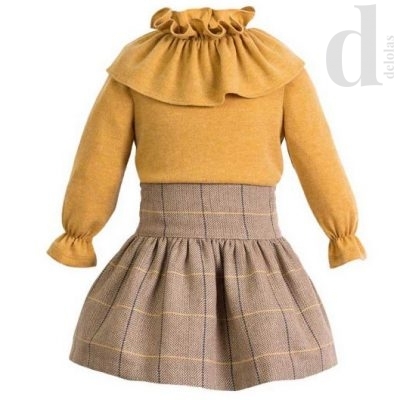 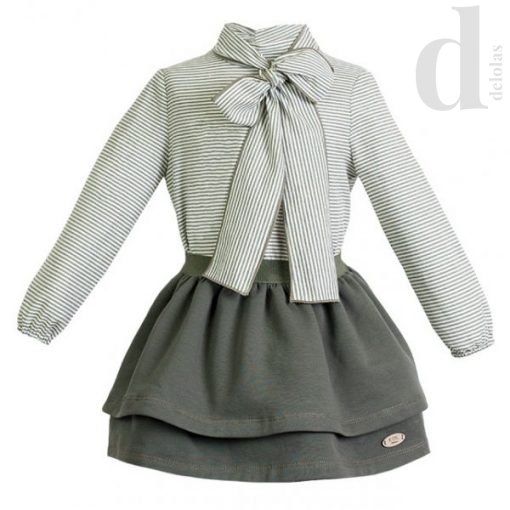 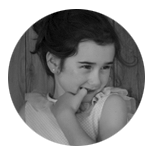 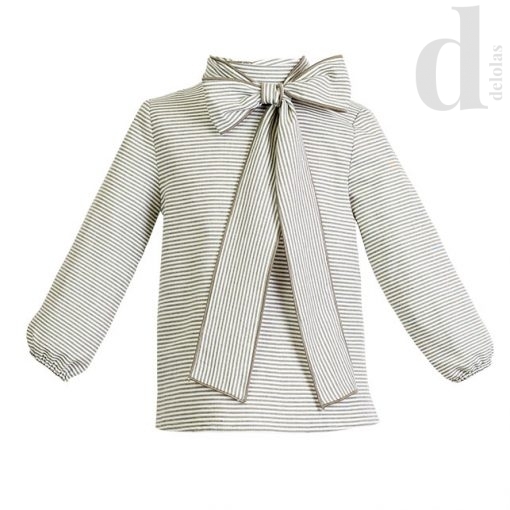 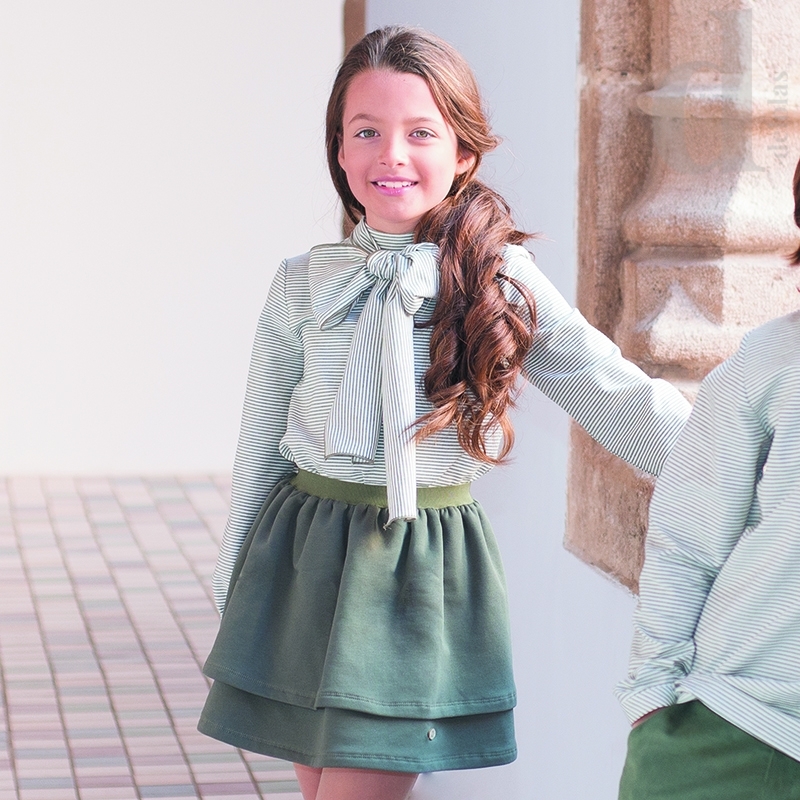 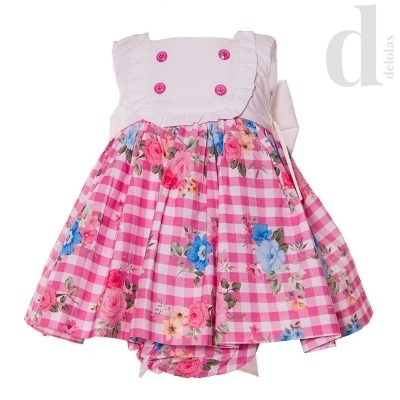 Skirt girl´s outfit Forest by Eve Children-Collection Fall Winter 2018/2019. Green and white striped shirt, buttoned on back and rubber sleeves and green skirt woven type sweatshirt with inner hair, has rubber on waist for greater adjustment. 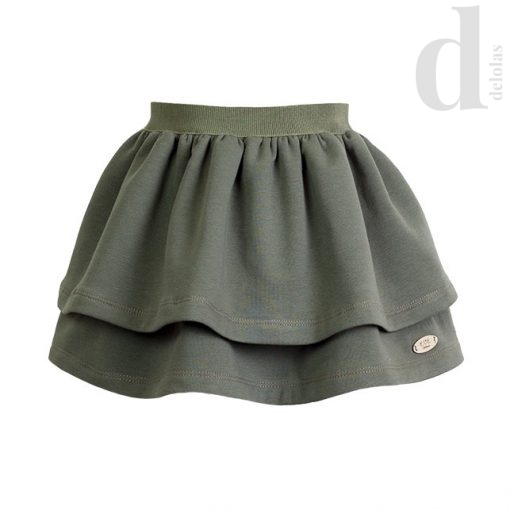 Skirt 85% PES, 10% CV, 5% EA.